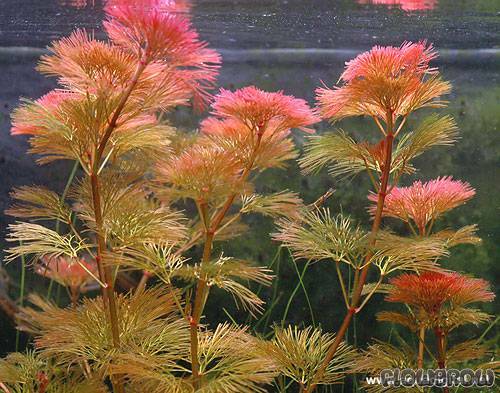 The Cabomba plant is a great addition to a water garden due to its variety and its oxygenating nature. There are several kinds of Cabomba, the most popular being the Green Cabomba and the Cabomba Furcata. The latter has foliage that looks purple with some shades of yellow, adding color to the usually green submerged plants. In the summer, flowers will grow to the surface adding to the beauty of this plant. In addition, the Cabomba will minimize algae growth by absorbing nutrients from the water and help well as oxygenate as well. They’re easy to propagate by cutting mature stems and planting them at the bottom of the pond. This plant is ideal for USDA regions 5-11.